ALPHARETTA, GA. April16, 2012–Contact At Once!, theleading dealer chat provider connecting online car shoppers to auto dealers, today announced that it has been selected by Edmunds.com, the premier online resource for automotive information. Contact At Once! will provide live chat functionality across Edmunds.com’s consumer-oriented web properties. The Contact At Once! chat solution is used by over ten thousand automobiledealerships. Using a single set of tools and processes, dealers can respond to consumer chats originating from anywhereinthe Contact At Once! dealer chat network, which now includes Edmunds.com. Dealers leveraging thedealer chat software typically experience an increase of at least 25% in the number of online shoppers that contact the dealership. Shoppers can connect with dealers via icons personalizedphoto greetings placed on websites. Dealers have rated Contact At Once! as the number one chat provider in 2010 and 2011 on DrivingSales.com. 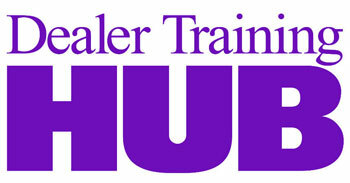 For additional information about dealer chat powered by Contact At Once!, please visit www.autodealerchat.com. Contact At Once! is the leading automotive chat software provider and operator of the industry’s only dealer chat network connecting more than 9,000 auto dealers with the websites car shoppers visit most often. Adding Contact At Once! dealer chat software to a website typically increases a dealership’s sales conversations by at least 25 percent. Named to the Inc. 500 as one of America’s fastest growing businesses, Contact At Once! is headquartered in Atlanta, Georgia. For more information about the company’s auto dealer chat product, please visit www.autodealerchat.com. To learn more about the company, please visit www.contactatonce.com.